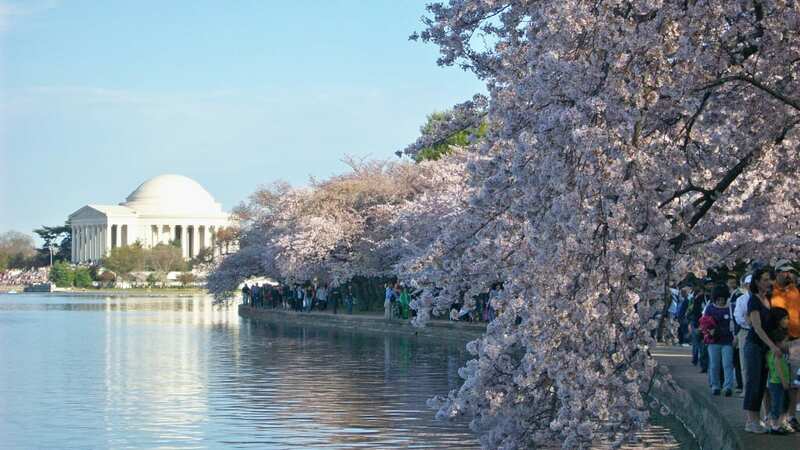 Anyone who has visited Washington DC during the Spring will find it impossible to forget the overwhelming sight of hundreds upon hundreds of delicate flowering cherry trees, looking like canopies of snowflakes, an event the US capital celebrates with the National Cherry Blossom Festival. They are mainly Yoshino cherries and are grown in three different parks in DC, located around the Tidal Basin, the East Potomac Park and the Washington Monument. There are 3,750 cherry trees in the Tidal Basin alone. With this wealth of natural beauty, although cherry trees are not indigenous to the USA, it is unsurprising that the inhabitants of Washington DC would want to celebrate this floral heralding of Spring. So how did the festival come about? In 1912, 3,000 cherry trees were given as a gift by Mayor Yokio Oraki of Tokyo to celebrate the closeness of the relationship between Japan and the United States. 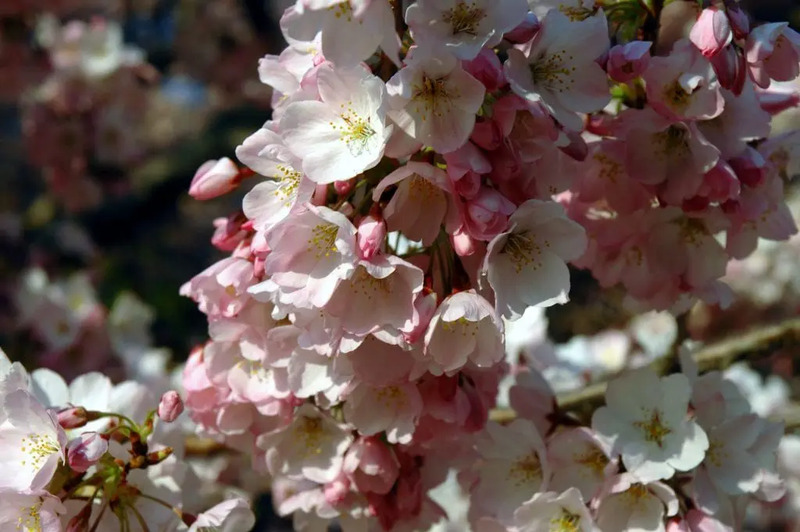 On March 27, Helen Herron Taft, the First Lady, together with Viscountess Chinda, the wife of Japan’s ambassador to the US, planted the first couple of cherry trees in West Potomac Park. The gift was reciprocated by the American Government in 1915 by sending some flowering dogwood to Japan. 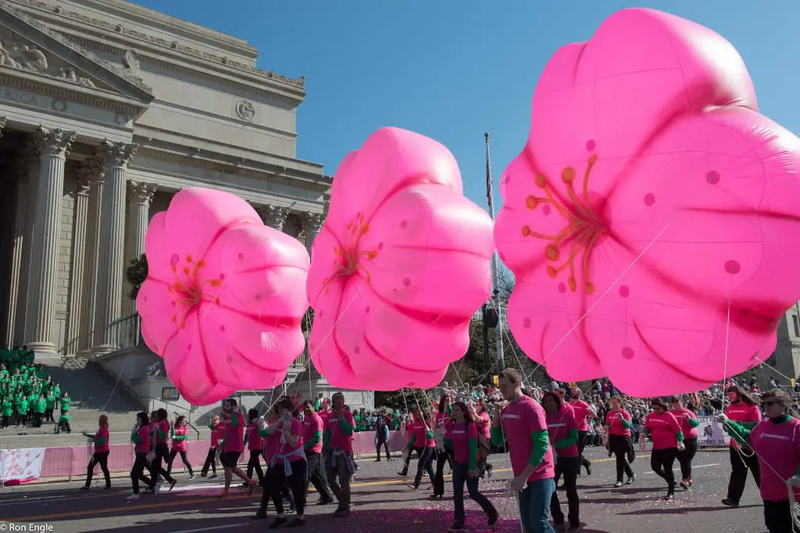 From this time, America’s First Ladies have been very involved in the National Cherry Blossom Festival and have been honorary chairs of the proceedings. Since those early days, America’s biggest spring time festival has expanded considerably. Its philosophy is to promote the beauty of nature and international friendship. In 1994, it ran over two weeks, but now takes place over four weekends. 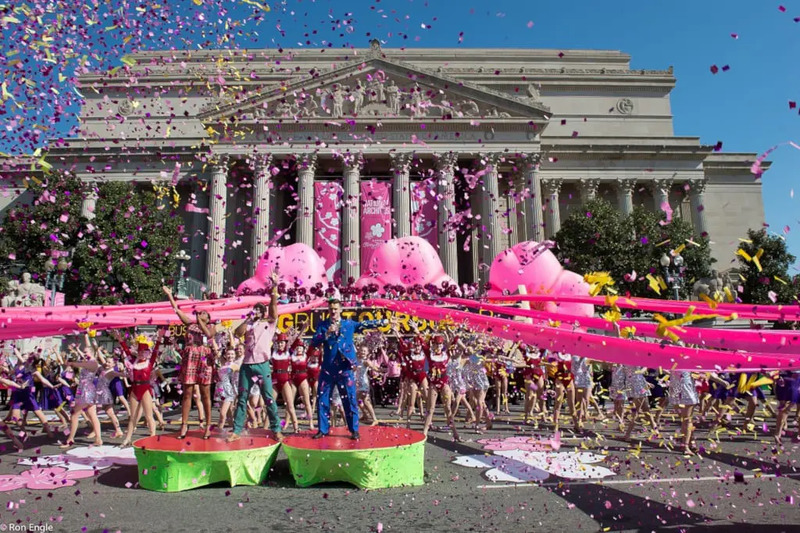 So what fun and delights does the National Cherry Blossom Festival have in store for us this year? The Opening Ceremony for the 2019 festival takes place on 23 March, with world-renowned performers celebrating springtime as a token of birth and renewal. Japan will gift more trees to show their commitment to international friendship. This event will take place at the Warner Theatre from 5-6.30 pm. Although the event is free, tickets need to be applied for in advance and there will be a $5 registration fee at the production of the ticket upon arrival. Various performances will take place, including a performance of Pretty Guardian Sailor Moon, written by Naioko Taksuchi, first premiered in Tokyo and Paris in 2018. The Ikuko Kawai Ensemble will also perform the Tale of Genji written in the 11th Century for the Japanese Court and played with traditional Japanese instruments. On 24 March, the Pretty Guardian Sailor Moon will be performed again at the Warner Theatre. 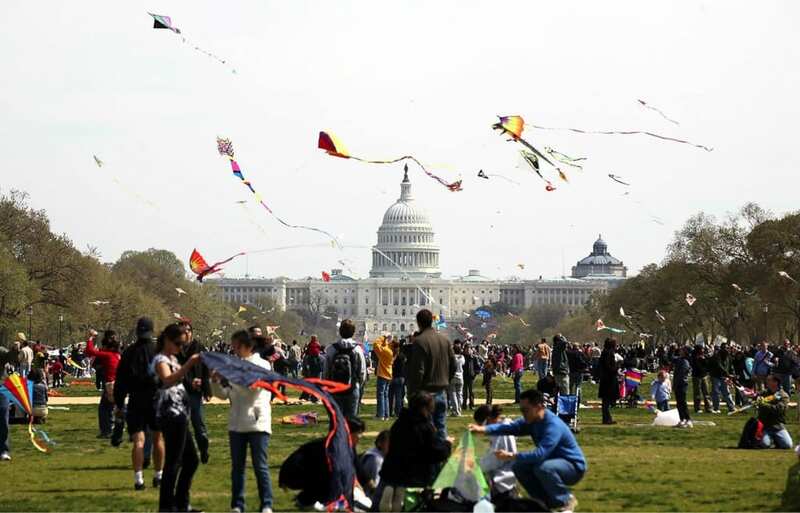 Fun for all the family, the Blossom Kite Festival will take place on 30 March from 10am to 4:30pm in the grounds of the Washington Monument. Entry is free and the nearest metro station is Smithsonian. It is the eighth anniversary of this event, which attracts kite flyers from all over America as well as internationally, some of whom take part in competitions. Children can make their own kites at various activity centres. Another family event is the Petalpalooza on 6 April from 12pm to 9:30 pm, with music, games and fireworks. The Wharf is magically transformed into a fun place with many stages activities, and a beer garden for the non-kids. Fireworks are scheduled for 8:30 pm, weather permitting. The Cherry Blossom Festival Parade on 13 April is the grand finale. Thousands of spectators line the route, as floats and marching bands from all over the country join the procession from 7th to 17th Street. It’s free to stand and watch, or you can buy a grandstand seat for $20, bookable on line. It is from 20 March to 13 April. If you are looking for accommodation in Washington DC during the festival, check out our Hotel Booking Portal.